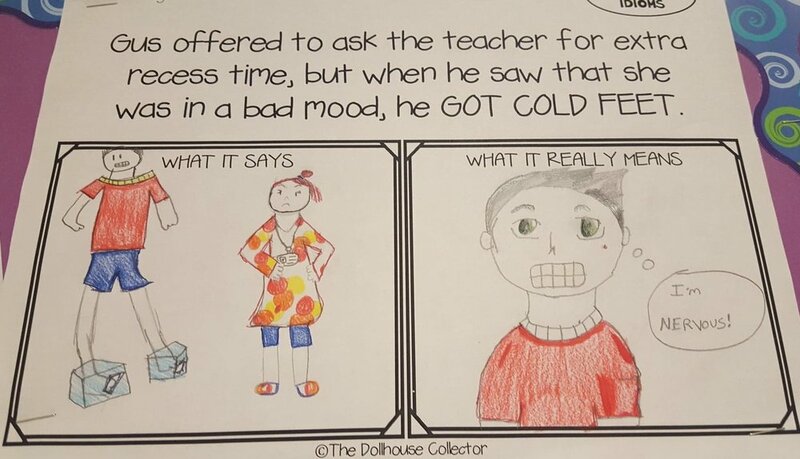 Figurative language can be very difficult for children to grasp. Imagine a child (or an English language learner) looking at you in horror after being told to “break a leg” before a performance! I created this product as a fun way to interpret these puzzling expressions. Each sheet features a sentence that includes an idiom, which is highlighted in all capital letters. Students must illustrate both the literal meaning of each sentence (“What It Says”) and the figurative meaning of each sentence (“What It Really Means”). 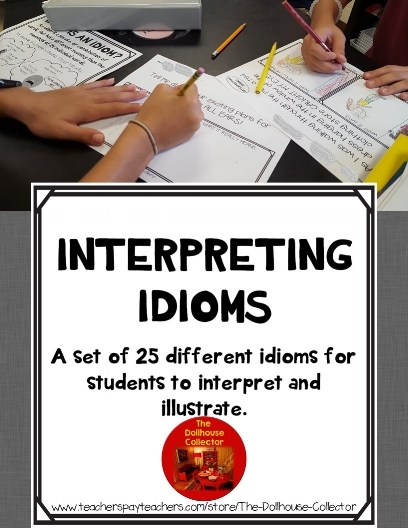 The sentences have been designed to enable students to use context clues to determine the meaning of each idiom, so they should be able to complete the tasks even if they have never heard an expression before. A reference sheet that gives the definition and an example of an idiom is included in this product. I make it clear to the students that I am not grading their artistic skills (I’m no artist myself - I can only draw stick figures! ), but their comprehension/context clues skills. It’s so much fun to see how creative they are! An interpretation by one of my 5th graders!